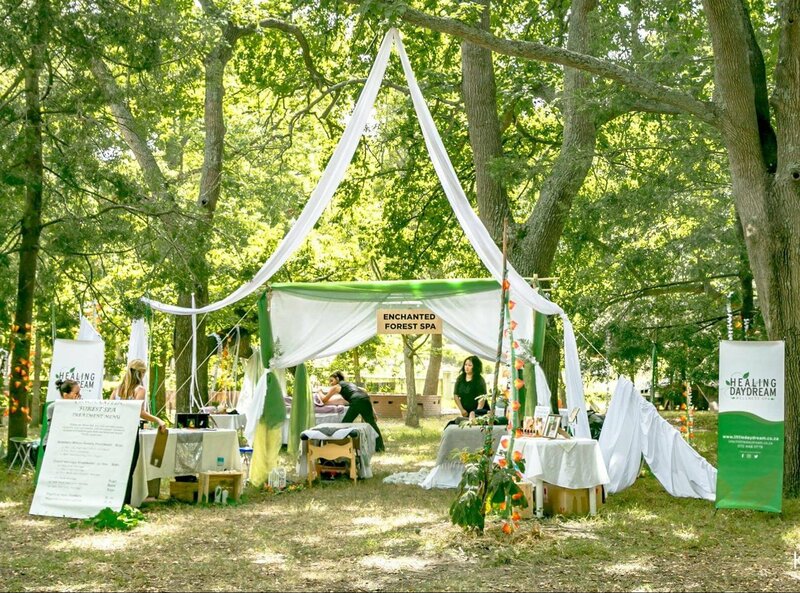 Healing Daydream Wellness Spa specialises in providing luxury mobile spa services to outdoor events and company wellness days across Cape Town. We cater to promotional events, corporate wellness days, team building, yoga retreats, music festivals and sports events. By creating a serene spa environment indoors or outdoors, based on an event’s unique requirements, we strive to offer a sustainable experience with minimal effect on the resources we use. 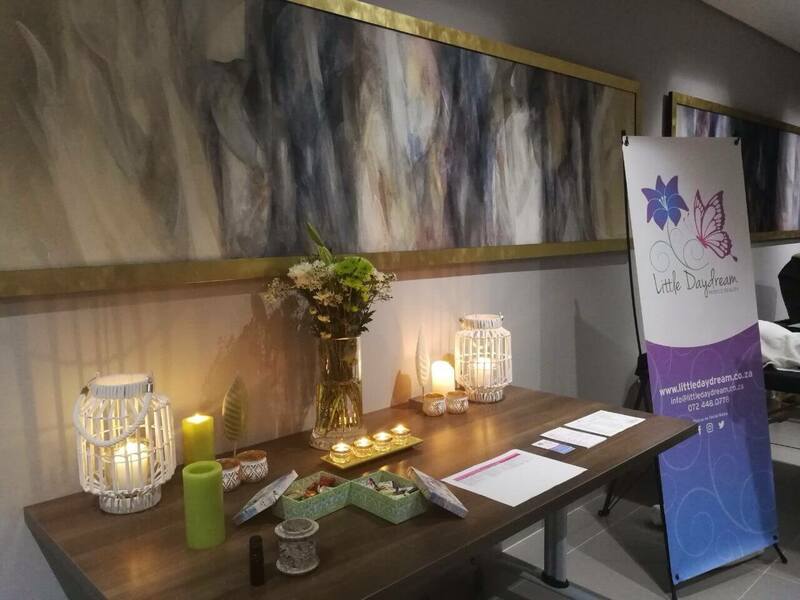 For employees and clients of our customers who choose our corporate wellness Cape Town option, companies can treat employees or clientele with our pop up express spa tailored with a selection of treatments of their choosing. Whether it be for promotional events or corporate incentive, the spa experience aims to put people into a receptive, responsive and relaxed frame of mind. For spa wellness days at the office we provide luxury massage beds, spa music, scented candles, luxury products professional spa treatments and a friendly team of therapists. Special events pop up spas. Ideal for yoga retreats music festivals and outdoor events. Therapists can be booked in advance by organizers or alternatively we offer the following services direct to event patrons. Office / Boardroom pop up spas. Ideal for incentives, team building or functions. Therapists can be booked by companies at an hourly rate of R350. We offer the following services.